This winter has been a harsh one with single digit temperatures and wind chill below freezing for most of the United States. We’ve been pummeled by one record breaking storm after another. My girlfriends in the north toes are in a perpetual frozen state and no amount of footsie will thaw, and to be honest, this southern California girl is getting tired of the rainy days. I’m willing to bet many of us have been daydreaming of a warm winter escape – where the mimosas flow freely and the sunshine warms us through. When I think of warm weather and favorite places to visit or stay, the all-inclusive Hard Rock Resorts with their luxurious unlimited perks are always at the top of my list. As a matter of fact, we chose to have our wedding at the Punta Cana location and all of our guests said it was one of their nicest vacations ever! So what does a girl do when the sights, sounds and flavors of Mexico are calling her name? Well, you grab your bestie and head down to Puerto Vallarta to check out the Hard Rock Hotel Vallarta. I’m a huge fan of all-inclusive resorts. They tend to take all the work and stress out of your vacation and allow you to have the most care free experience possible. There is something to be said for arriving at your destination and basking in unlimited luxury, knowing everything is already taken care of. It adds an element of relaxation that can’t be achieved by constantly worrying about staying on budget or remembering to carry around local cash or credit cards. Of course, it’s when you arrive that you realize the luxury only starts with convenience factor, but everything else becomes important too – the food, the atmosphere, the amenities. A stay at the all-inclusive Hard Rock Hotel Vallarta includes essentials like spacious suites, 24-hour room service (which was impressively fast and tasty!) and a daily restocked mini bars. Speaking of food, there are 4 gourmet a la carte dining options ranging from Mexican cuisine to Italian, French, and Brazilian – no reservations required – plus, an International Buffet option perfect for when you just can’t seem to commit to one entree or, who are we kidding, dessert. 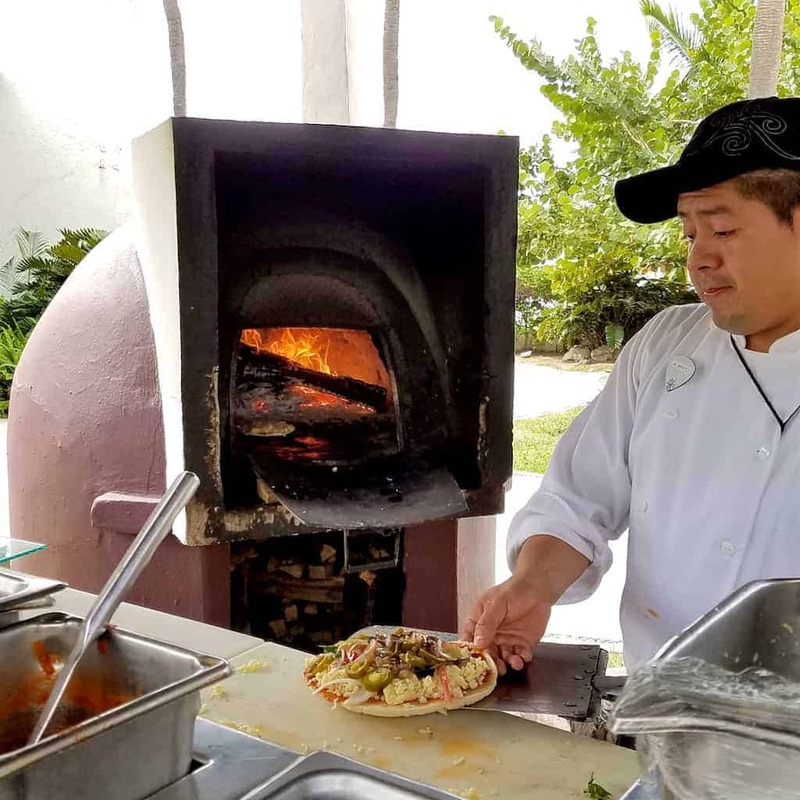 If you’re craving pizza while doing a whole lot of nothing by the pool, as we often do, you can have one made to order at the real brick pizza oven! 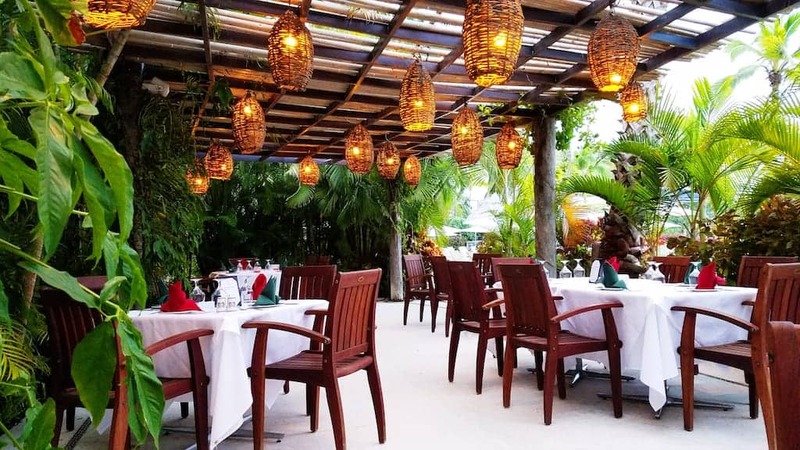 Our favorite restaurant was Frida, which offers al fresco dining with popular Mexican classics like hand made guacamole prepared right at your table. Also read: What Happened to the Unfinished Church in Bermuda? And if you’re looking for a new shot to try out as an aperitif, the Banderas won’t disappoint! 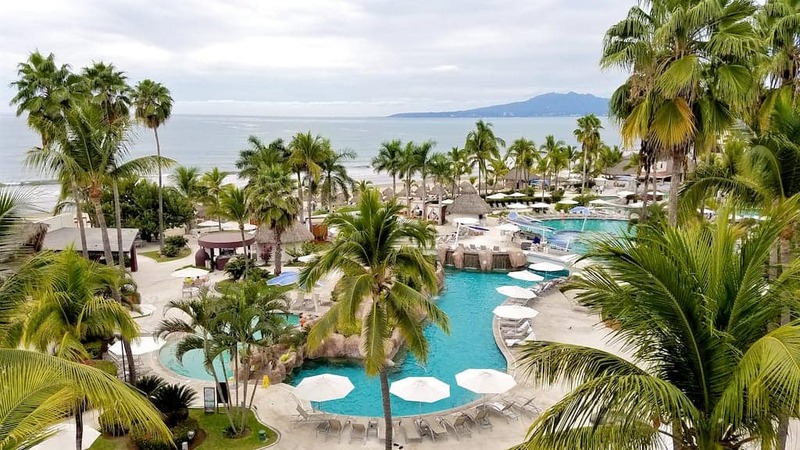 As far as amenities are concerned, Hard Rock Hotel Vallarta is a great for choice for girlfriend getaways, family travel as well as a romantic getaway for couples. Their numerous activities offer something for every age, allowing even the most discriminate of family members to create their own dream vacation. Feel like letting your inner Eddie Vedder out? Have a Fender guitar delivered to your room to jam on at no charge. Get loose and maybe even a little funky with themed shows each night and live entertainment in our favorite hangout, the Sun Bar. Have a little a competitive fun with family and friends with beach and pool volleyball, basketball, putt putt or billiards. Refuse to grow old and take a ride (or 12) down the water slide. Do more than just splash around the pool with complimentary kayaking and boogie boarding. Free wi-fi throughout the resort so you can make your friends jealous, I mean, check your emails and work. For those that do more than just pack their workout clothes, the Body Rock gym is one of the best I’ve seen with a good combination of machines and cardio equipment along with a sauna and steam room. They also offer daily aqua aerobics and yoga classes. Choose to veg by the pool or join in one of the many daily activities. 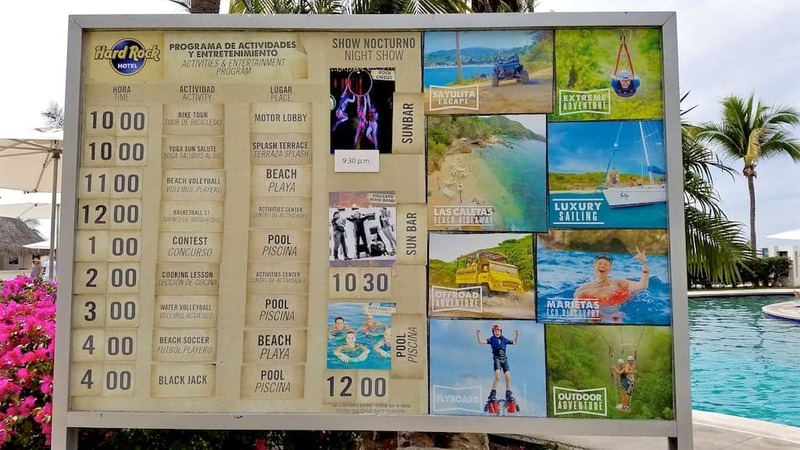 As a parent, I love that the resort also offers a Little Big Club (younger children) and the Cavern Club (teens) with supervised activities by specially trained staff at no extra cost. This allows mom and dad to sneak off for margaritas on the beach or a little R&R at the spa and the kids to get some much needed “me” time. 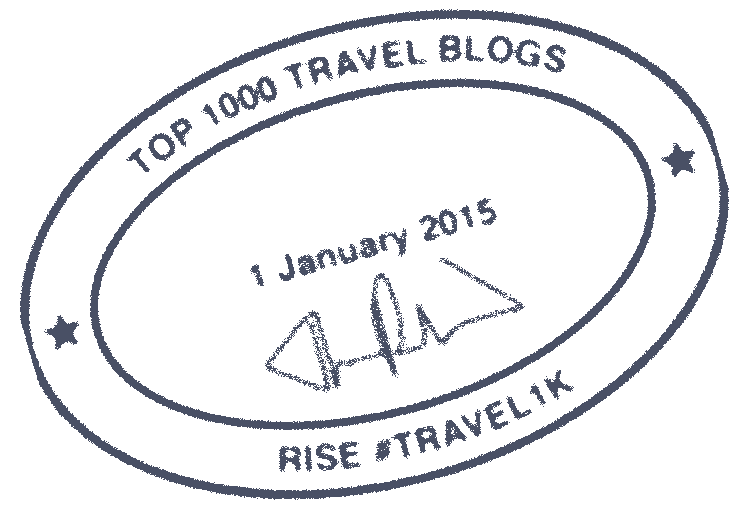 Speaking of the spa, the Rock Spa offers a la carte treatment options ranging from face and body to massage and salon, and even treatments for teens and kids. As expected, we thoroughly enjoyed our girls getaway time at Hard Rock Hotel Vallarta. It was an enjoyable destination that allowed us to truly escape winter and the daily stresses of life to come back rejuvenated and refreshed. Until next time, Hard Rock! My stay was hosted. Opinions are my own. I need a vacation so bad! This post is making me want to call a travel agent! That foam party looks like so much fun.